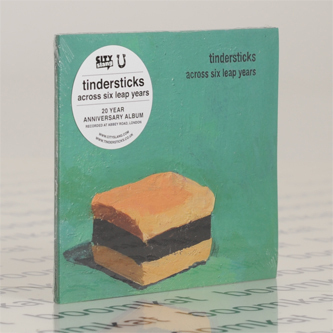 *10 new versions of classic Tindersticks tracks to celebrate their 21st birthday* "2013 is a landmark year for Tindersticks who turn 21 this year. In this time they have recorded nine studio albums, composed music for films, museums, fashion shows and installations, have toured the world, played with various orchestras, dueted and collaborated with many great singers and musicians, lost their desire, split up, rearranged, reformed, re-kindled their musical passion and in 2012 made what they, and many critics consider to be one of their finest albums The Something Rain. 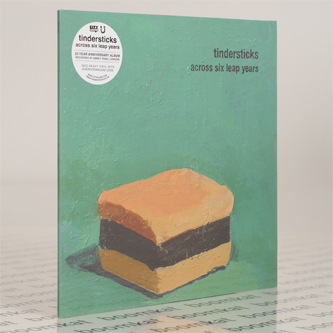 Tindersticks wanted to mark this special anniversary year in some way, to connect this history with what they have become. After much discussion they entered the legendary Studio 2 at Abbey Road and from 6th – 9th April 2013 recorded Across six leap years, their 10th studio album; 10 new versions of songs from throughout their history. Across the years some songs were “lost along the way”. For one reason or another they never became how they were imagined to be in their recorded form…until now. Across Six Leap Years brings together these previously unrealised tracks as part celebration, part reinvention. ‘Recording these songs again was not so much about righting past mistakes or inadequacies, but more about the power of now. It’s something that’s been growing since the film shows, something that made us recognise how we feel now, and connecting that to our past feels important. Walking up to Abbey Road, it could easily have overcome us. But it had nothing to do with its past. We weren’t there to take photos on the crossing. I didn’t think about playing the Lady Madonna piano. I’d like to say it was just another studio, but sadly, that’s not true anymore. It’s one of the only studios of its kind left. And it wasn’t about our past either. These songs feel like cover versions. Someone else’s music we feel we had something new to bring to. Abbey Road could have been a big slap on the back or a big punch in the face. But it felt natural. It’s where we should be. It’s important that we got here and to give ourselves some credit. It’s also important to give these songs a new life.